Samsung Exynos 5 Octa does support LTE, so why isn't it in our Galaxy S4? At its Galaxy S4 launch event a couple of weeks back, Samsung somewhat glossed over the new handset's octo-core processor, despite it being a world-first for a smartphone. We would soon find out why. In the aftermath of the Broadway extravaganza, the company revealed that the US and UK, would miss out on the Exynos 5 Octa S4 and would have to settle for quad-core - albeit much improved quad-core. Most observers had assumed it was to ensure Brits and Yanks, among others, had a faster phone, but also access to the faster internet too, as the LTE version of the device runs a Qualcomm Snapdragon chip. However, in a post on its @SamsungExynos Twitter feed late on Thursday, the company confirmed that the new Exynos 5 does support LTE on all frequencies. 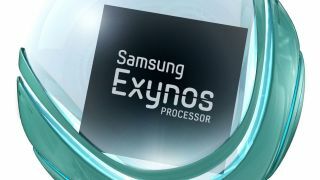 The tweet reads: "Update: The Exynos 5 Octa supports LTE and all 20 bands." So what gives, Samsung? Confirmation that LTE support is not a factor seems to suggest that its a supply issue preventing the Exynos 5 Octa going global on the S4 handset. This remains unconfirmed but would represent somewhat of a failure on Samsung's part to get all their ducks in row before the Galaxy S4 goes on sale on April 26. It does mean that an eight-core Galaxy S4 variant could potentially be rolled out once Samsung amps-up production of the processor, but the company is staying mum on that too. The perceived benefits of the Octa 5 processor are efficiency rather than speed. The tech is built on ARM's big.LITTLE framework, meaning there are four cores for handling the power-sapping activities and four for handling the phone's mundane tasks, which will result in smoother performance and better battery life. Octo-core? Quad-core? Does it matter to you? Let us know in the comments below.